Realm is a real ministry tool. 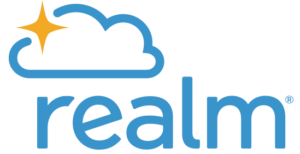 Realm is an online ministry tool designed for real time connection. It helps our church connect with you and you connect with us. If you consider yourself part of this church family, you’ll love it. Realm allows you to manage your personal information and who is allowed to see it, control your giving, and keep in touch with the groups that matter to you. Realm strengthens church connections. Being the church doesn’t just happen at the church. Realm helps us serve you better and leads this church well between Sundays. Everyone can be connected from anywhere at any time, right from our mobile devices. It engages everyone in the life of our church by supporting the healthy relationships essential to our church’s mission. We’ll stay organized, and you’ll stay informed about all of the opportunities for fellowship. When we share life together, we will grow together. Realm is safe, private, and secure. Your privacy is one of our greatest concerns. Realm is only made up of the people in your church, it’s not like a social network that’s open to everyone. Realm keeps your data safe and gives you control over what information you share and who can see it. Realm gives you control over your giving. Giving should be easy, and Realm places giving right in the palm of your hands. You may set up recurring gifts, view your giving history, and make changes at any time. Realm automatically records all electronic gifts and adds them to your giving record making it easy for you to give, and easy for our bookkeeper to track. Click on the Sign Up button above. Once you register, you’ll be sent a link to verify your email address. Once verified you can access your account and start using Realm. Apps are available for your smart phone, too! Call the church office if you have any questions.